Per bend sinister azure and vert, a Celtic cross and a chief argent. Per fess Or and argent, a lion rampant and a sinister tierce embattled sable. 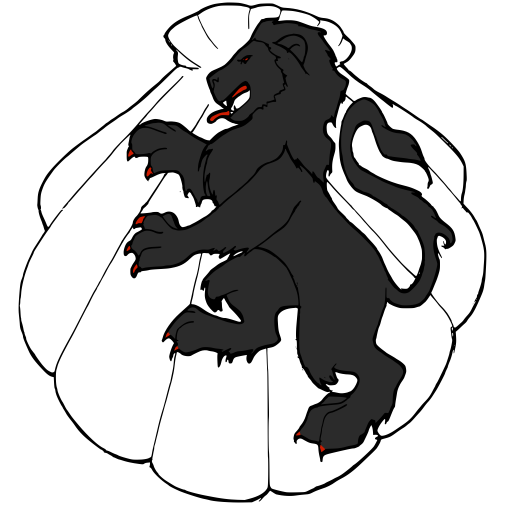 Per fess Or and argent, a lion rampant contourny and a tierce embattled sable. (Fieldless) On an escallop argent a lion sable.